Robert Luff & Co are delighted to offer this three bedroom semi-detached house situated in a popular close in Ferring. The property is in good proximity to shops, bus routes, schools and mainline railway station servicing London, Brighton and Southampton. The property has a living room, dining room, modern fitted kitchen and a conservatory. The bedrooms are on the first floor with a bathroom and seperate w.c. There is a porch built two years ago, rear garden and a newly laid brick paved driveway providing off road parking. There is also double glazing and gas fired central heating. Viewing is advised. Brick construction with pitched roof, front door and three double glazed windows giving triple aspect, radiator, smooth ceiling. Understairs storage with gas meter, laminate flooring, radiator. Brick and double glazed construction with pitched roof, bi-folding doors to garden, laminate flooring. Measurements to include built in units. Matching range of floor and wall units with work top surfaces and inset single bowl single drainer sink unit with mixer tap over, built in oven and hob, plumbing and space for washing machine, part tiled walls and tiled floor, wall mounted gas fired central heating boiler with timer controls underneath concealed in cabinet, double glazed window and door overlooking and leading out to the rear garden. Access to loft space, airing cupboard with hot water tank. 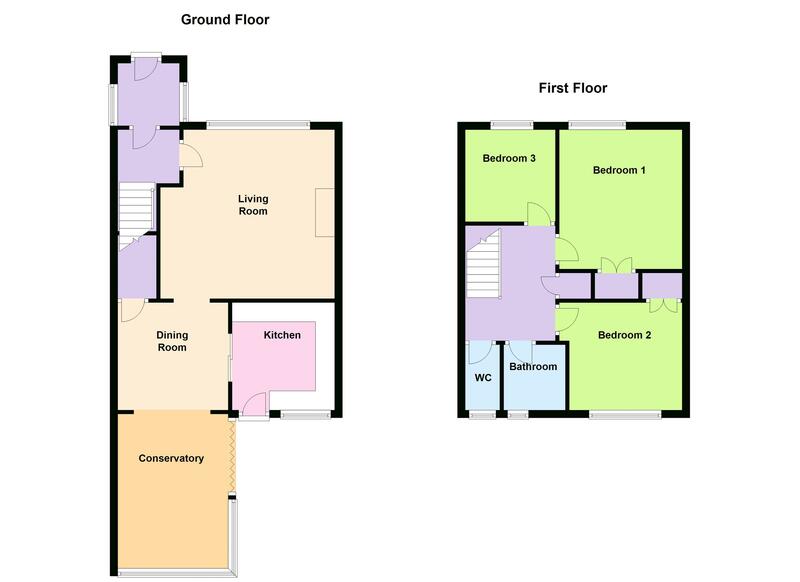 Measurements not to include built in wardrobes with hanging and shelving, radiator, double glazed window. Measurements not to include built in wardrobes with hanging and shelf. Panelled bath, wall mounted shower and screen, pedestal wash hand basin, obscured double glazed window, tiled walls, heated towel rail. Obscured double glazed window, close coupled low-level w.c. Lawn, flower and shrub borders, side gate to garden. Providing off road parking and being laid to brick work. Patio, lawn, greenhouse, trees, vegetable borders, shed and workshop, water tap, enclosed by fencing.